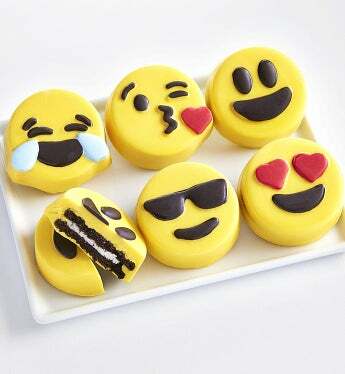 Send a big smile their way with these creative and delicious emoji inspired confection dipped OREO® cookies. They’ll love these 6 confection-dipped cookies that have been decorated to absolute perfection. They’re incredibly easy to share – if they dare!